Stephen is an avid hiker who has explored, and continues to explore, the many trails in his home province of Newfoundland and Labrador. 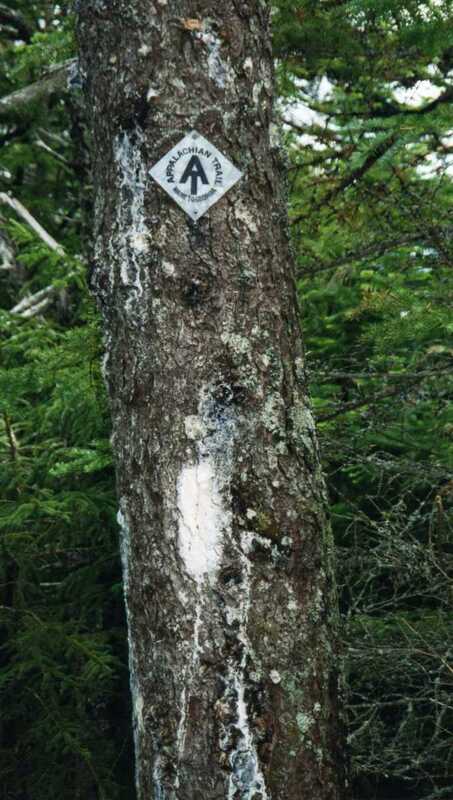 The East Coast Trail is a system of 26 developed paths that run 300km along the east coast of Newfoundland, Canada, from Portugal Cove at the north end to Cappahayden at the south. 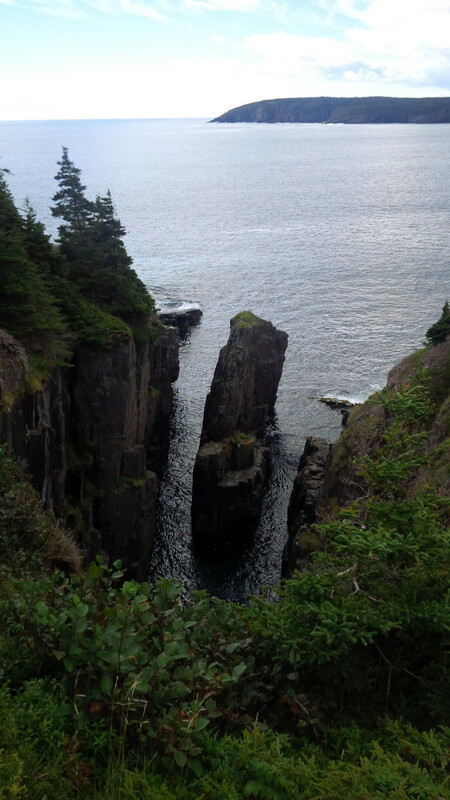 Fom the beautiful and Historic capital city of St. John's the hiker can take the trail north from Quidi Vidi Village, on the Sugarloaf Path, or south from Fort Amherst on Deadman's Bay path. Connecting more than 30 picturesque coastal communities the trail leads the hiker past panaramic ocean vistas, to incredible natural geographical features such as sea stacks, fjords, rugged cliffs and headlands, and a wave-driven geyser called the spout. In the spring one can sea icebergs as they drift south along the coast. The hiker may also be lucky enough to see whales breaching or seals sunning themselves on the rocks. Other wildlife that may be encountered includes squirrels, foxes, moose, and caribou, as well as a large assortment of seabirds, including the famous puffin. Other attractions include two active archaeological dig sites, a 50 metre suspension bridge on the La Manche Village path, a number of abandoned settlements, and several lighthouses. Paths are listed in order from St. John's, first heading North from Quidi Vidi Village, then south from Fort Amherst. 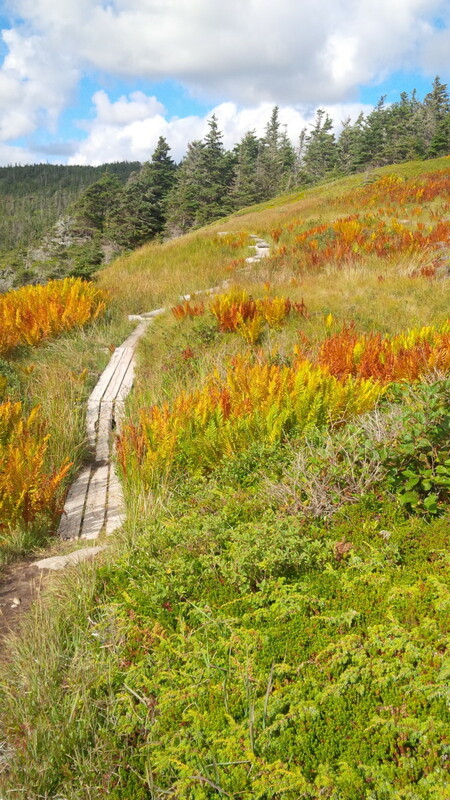 The Spout Path is one of the 26 paths that make up the East Coast Trail system. 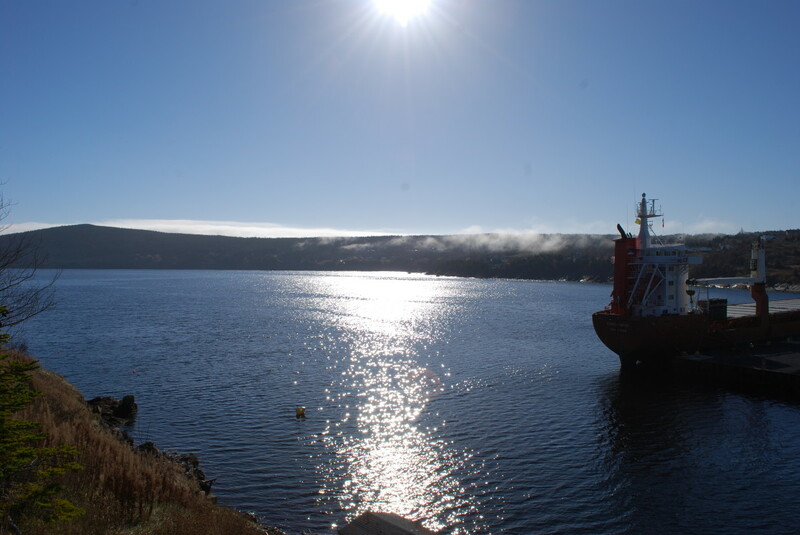 It is 16.3Km long, plus a 6.4km access route for a total of 22.7km, and runs from the Goulds to Bay Bulls. Along this strenuous path the hiker will encounter a wave-powered geyser called the Spout, for which the path was named, as well as a historic lighthouse, 5 waterfalls, sea stacks, and large stretches of rugged coastline and dramatic sea cliffs. 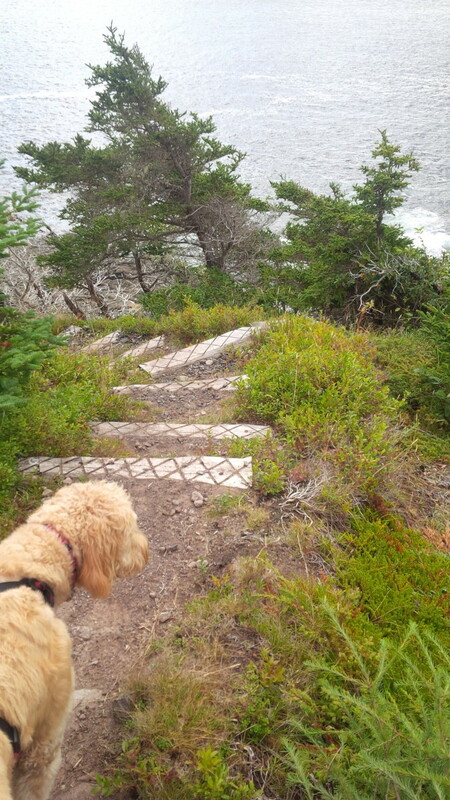 Like many of the paths on the East Coast trail this path can be broken into smaller segments. 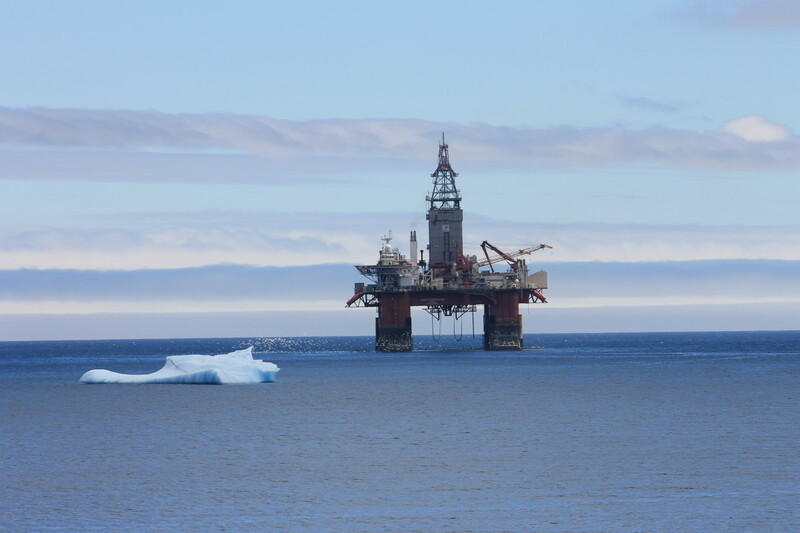 In this article we will be looking at the segment from Bay Bulls to the lighthouse. 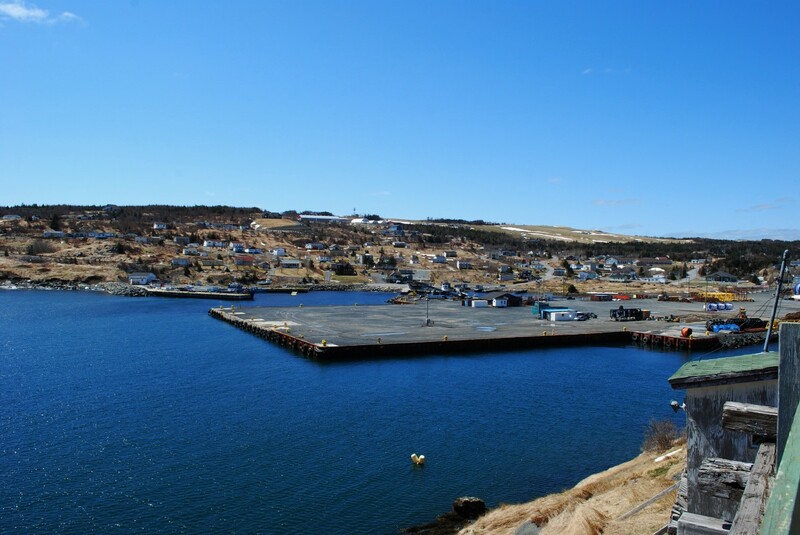 The town of Bay Bulls is a picturesque and historic community located 31.6km (19.6 miles) from the city of St. John's, and is the location of the south trailhead for the Spout Path. 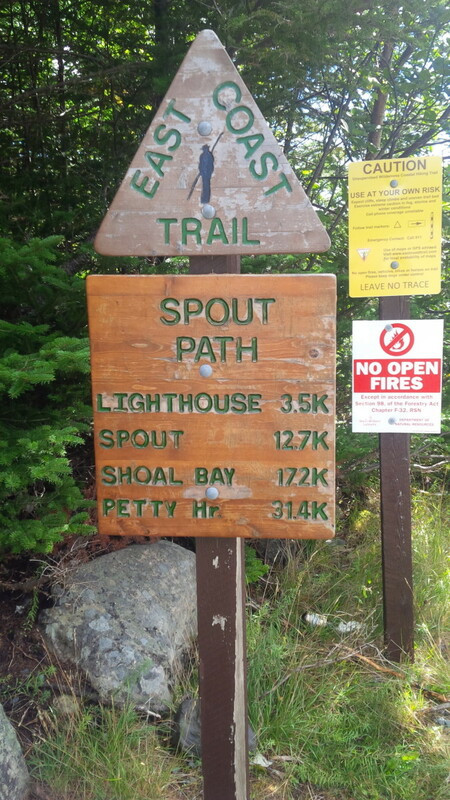 From this trailhead it is a 3.5km hike over moderate to difficult terrain to the lighthouse. 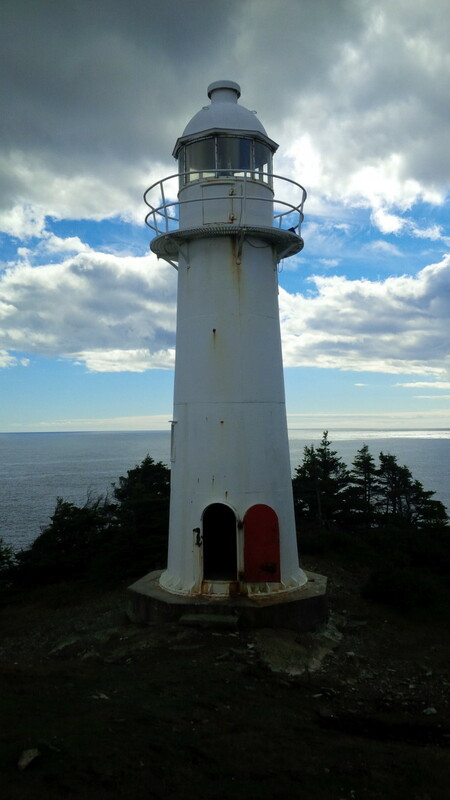 There are no exit points from this trail ( there is an old service road that leads from the lighthouse to the start of the trail but it is in extremely bad repair and is washed out in many places, and is not recommended) so if planning a hike to the lighthouse the hiker must prepare for a 7km round trip. 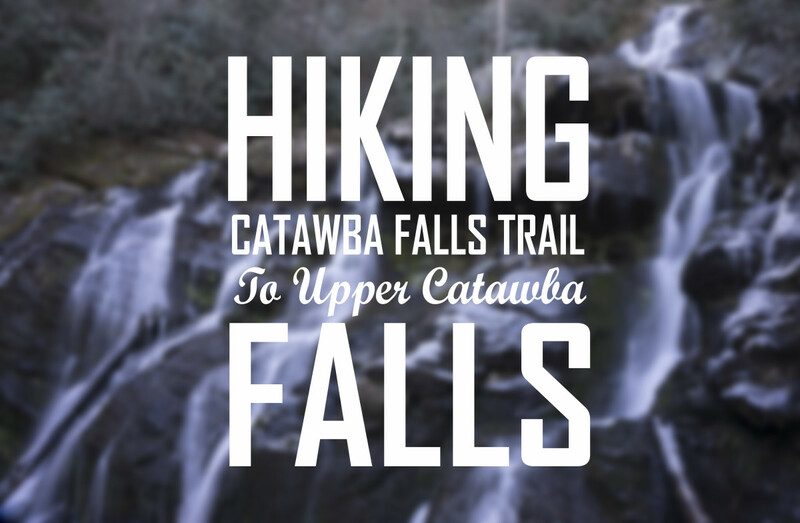 This should take the average hiker around 2 to 3 hours to complete. 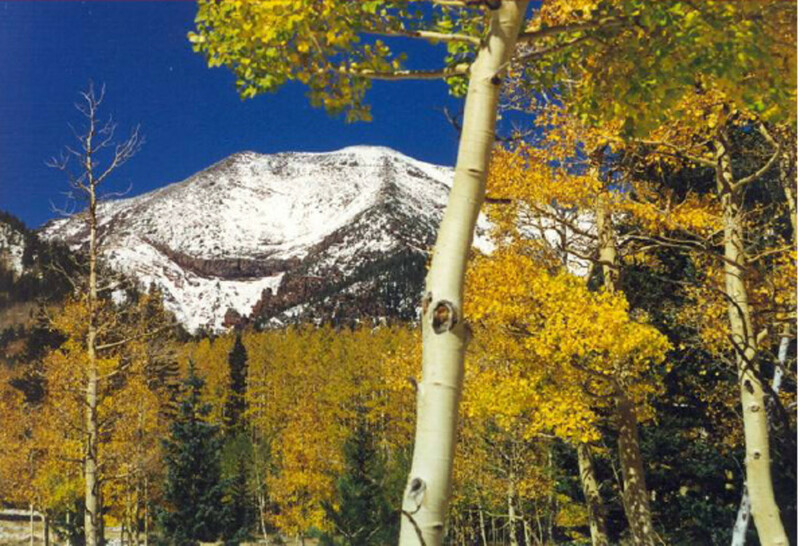 A good pair of hiking shoes or boots is strongly recommended. 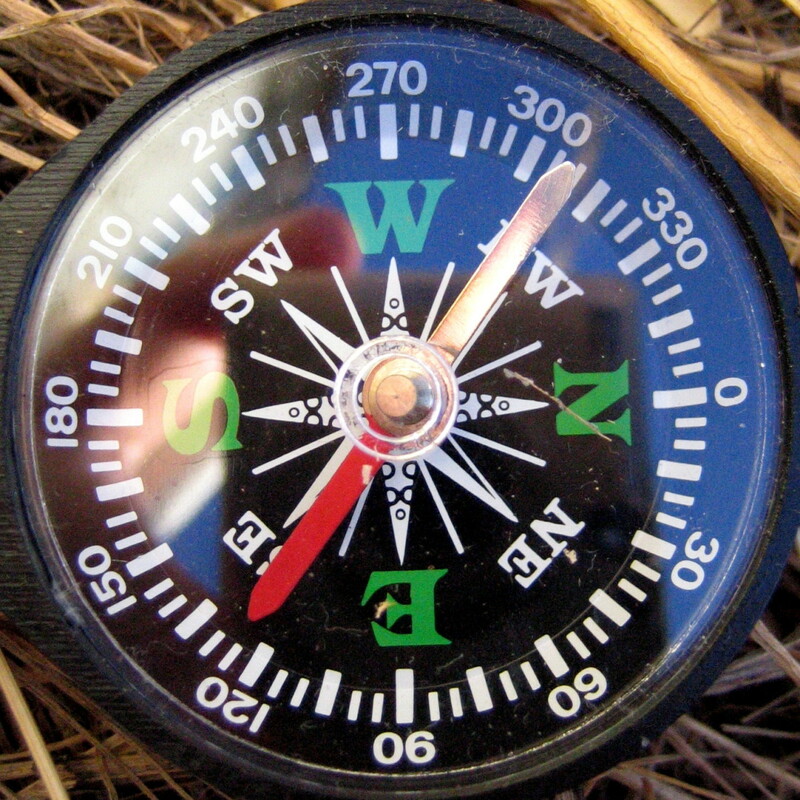 As well one should take along plenty of water, snacks such as energy bars or trail mix, appropriate clothing, a first-aid kit, a lighter or matches, a flashlight, a pocket knife or multi-tool such as a Gerber, sun protection, toilet paper, insect repellent, and any other supplies that may seem pertinent. It may be only a short hike but it is three and half kiometers into the wilderness over rough terrain, and, as they say, it is better to have it and not need it than to need it and not have it. 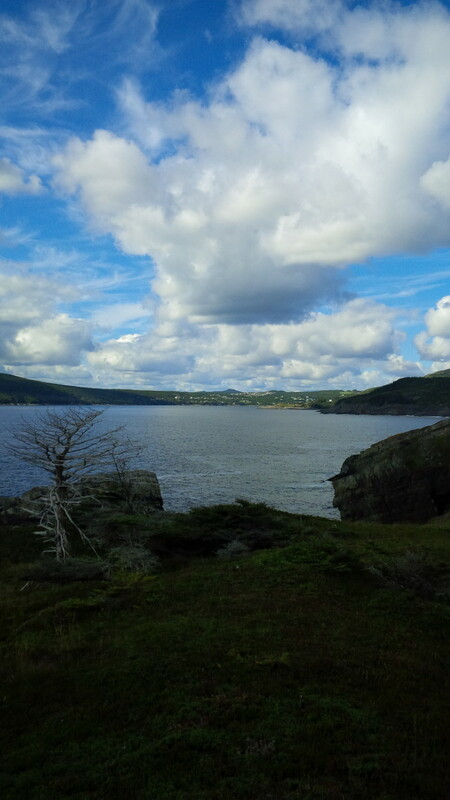 From St. John's one would take Old Bay Bulls Road to the Southern Shore Highway to Bay Bulls. 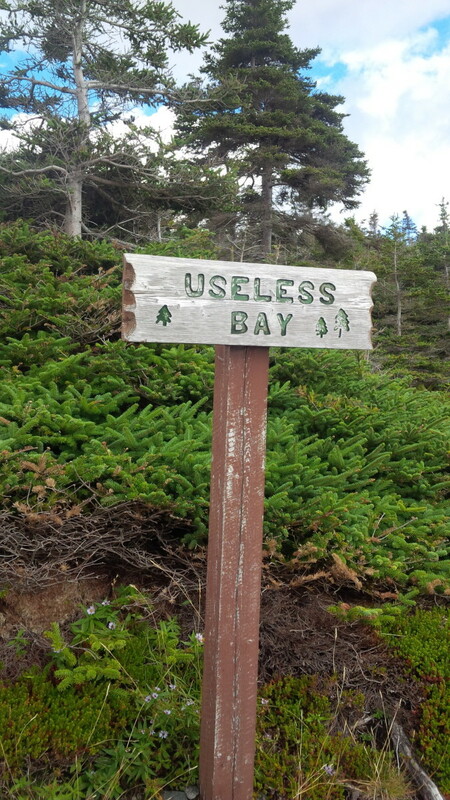 Once in Bay Bulls take St. John's Road half a kilometre to Northside Road, which runs along the north side of the Bay Bulls harbour. Follow Northside Road 2.5km to where it becomes dirt road. Take the dirt road to the Holy Trinity Cemetery where there is some limited parking. Alternativily vehicles can be parked along the paved road and the hiker can walk in the couple of hundred metres of gravel road. The trailhead is located just past the Holy Trinity Cemetery and directly across from the old Holy Trinity Cemetery. The old cemetery was in use during the later half of the nineteenth and early part of the twentieth century. 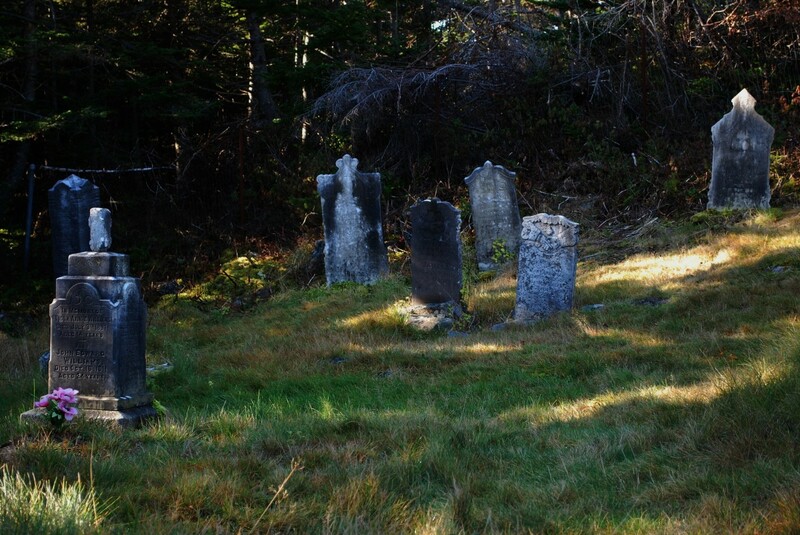 It is also the site of the old Holy Trinity Anglican Church which was erected there in 1864, and served the Anglican Parisioners of Bay Bulls for over 100 years, until it was torn down in 1969. Starting out from the trail head is a fairly easy hike along side the harbour to Gunners Cove. 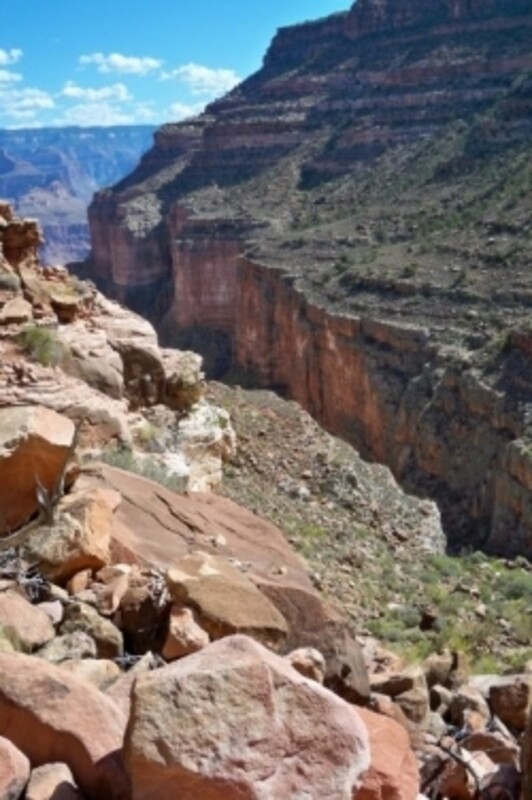 Beyond this the trail gets more challenging, with some narrow areas, steep inclines, small water crossings, and difficult terrain. 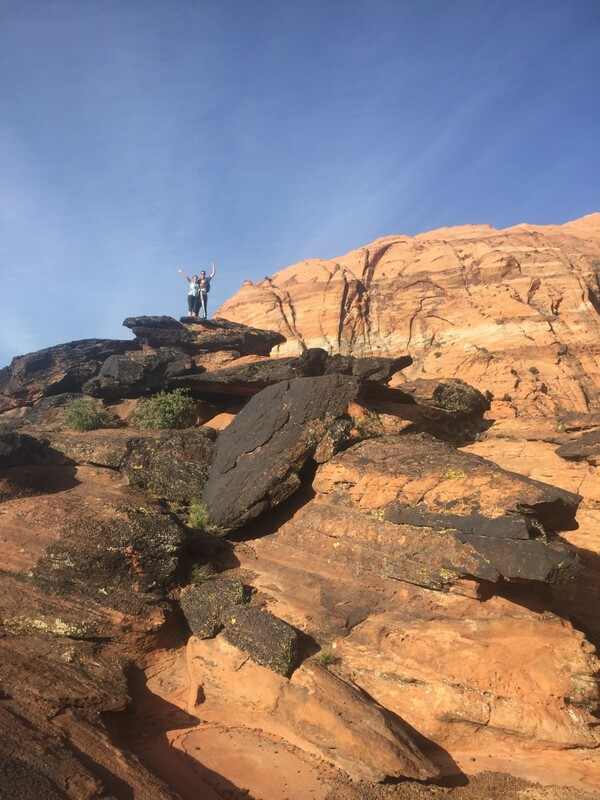 The hiker is assisted through much of this by trail enhancements such as boardwalks, and wood footholds attached to the rock where there is a steep climb over bedrock. The trail follows the coastline along Useless Bay affording the hiker an almost uninterrupted panoramic view of the Atlantic ocean, the bay, and coastline. One of the more interesting natural formations that will be encountered along this trail is a sea stack known as the Pulpit. The hiker will also pass through an area called the Flats where the steep seaside cliffs give way to flat rock that gently slopes into the ocean. The hiker will also encounter a wide varity of indigenous plant life including the official flower of Newfoundland, the Pitcher Plant. 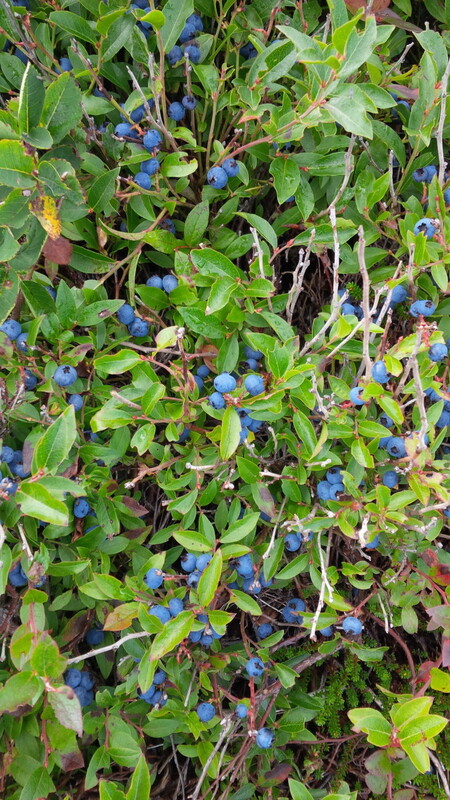 There are also large expanses of Blueberry bushes that, in season, can provide the hiker with a delicious, nutural trail side snack. One will also see trees that have had their growth stunted by the harsh weather and terrain, and their shape bent and twisted by the incessant winds off the sea. 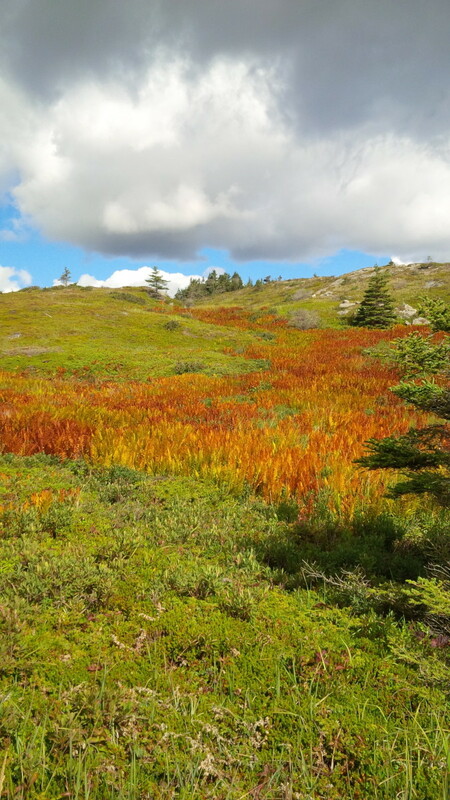 Particularly beautiful in the fall, when their colour has turned to shades of orange and red, are the ferns that cover the fields from Columbine Point to the lighthouse. 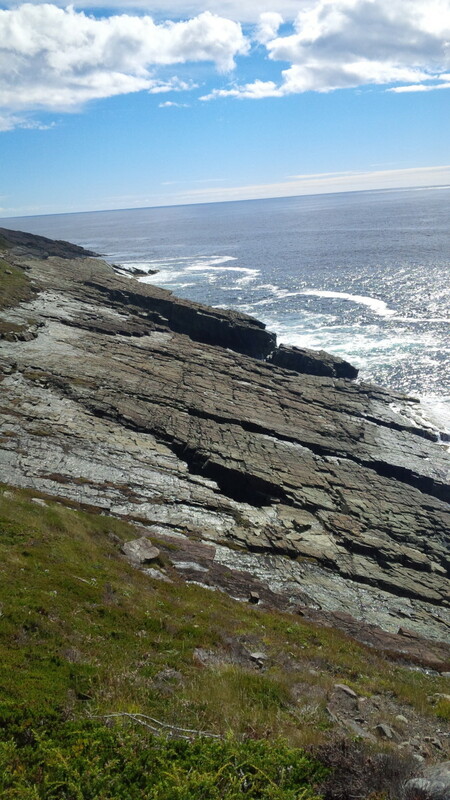 From Bay Bulls to the lighthouse; an incredible hike along 3.5km of wilderness trail and beautiful coastal vistas. A great way to spend a sunny afternoon with friends or family, perhaps enjoy a picnic at the lighthouse or a day of berry picking, soaking up the amazing Newfoundland outdoors, and the fantastic East Coast Trail. 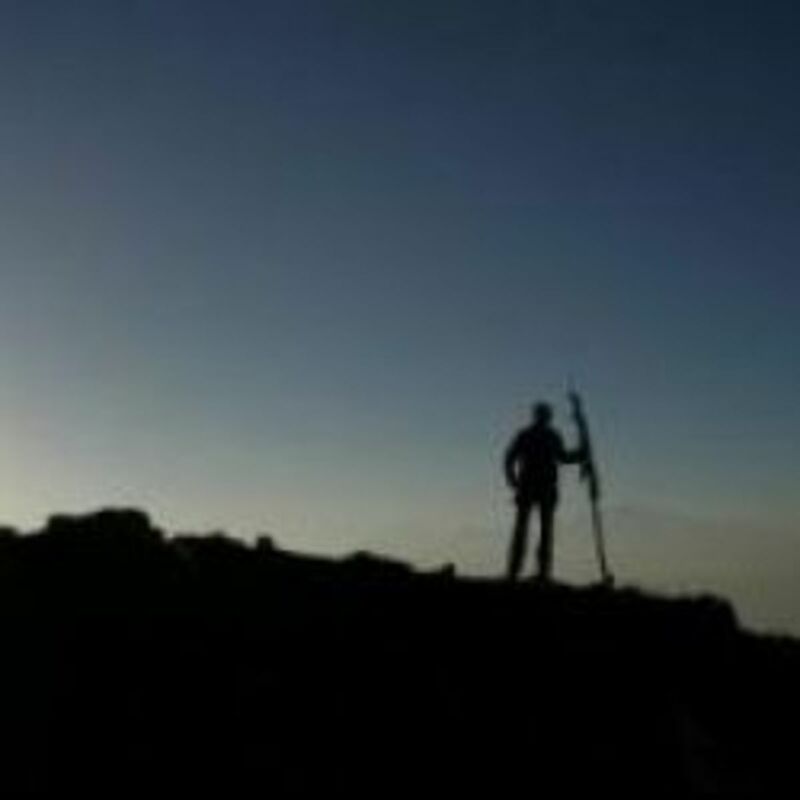 Using walking poles while hiking helps reduce stress on the knees, ankles, hips, and back. They also help turn a walk into an upper body workout by using the muscles of the arms, shoulders, chest, and upper back. The Campteck poles with multiple tips for different terrain, as well as attachments for snow, are an excellent choice at a great price. 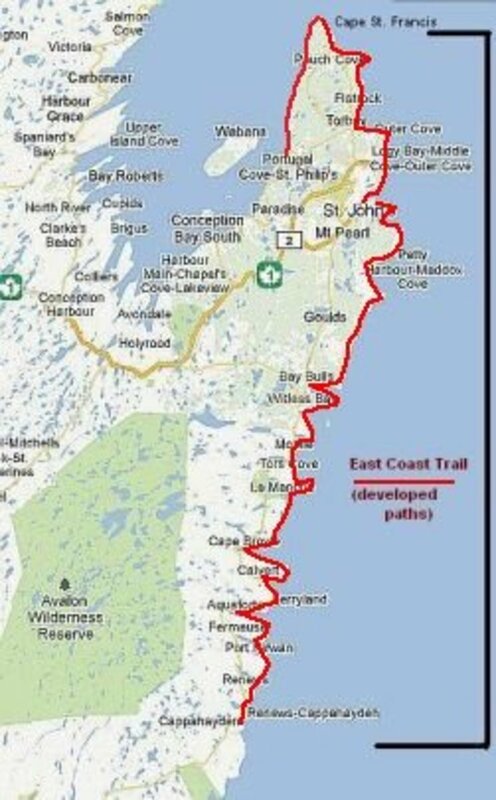 I would like to do a 7-8 day hike on the East Coast Trail. Are there any B & B's or inns along the way that could be utilized? There are a number of B & B's and inns in the communities all along the East Coast Trail, and it is possible to hike from one to another with the right amount of planning. There is also a hiking program called "Trail Connections," whereby you can stay 2-4 days with each host, and use that as a central location from which to hike: www.trailconnections.ca.